The CTFS-AA International Field Biology Course is an annual, graduate- level field course in tropical forest biology run by the Center for Tropical Forest Science – Arnold Arboretum Asia Program (CTFS-AA) in collaboration with institutional partners in South and <?xml:namespace prefix = st1 ns = "urn:schemas-microsoft-com:office:smarttags" />Southeast Asia. 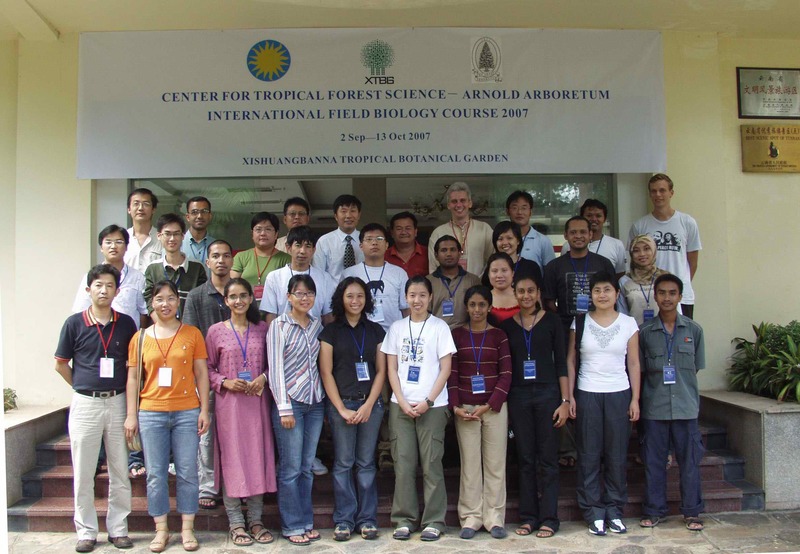 The CTFS-AA International Field Biology Course 2007 is hosted by and held at XTBG, which will last from September 2 to October 13. It is the seventh such course organized by CTFS-AA. The CTFS-AA International Field Biology Course 2007 was opened yesterday (September 2), with attendance of 21 students from 11 countries and 16 resource staff from a variety of national and international institutions who are to give lectures and practical instruction. 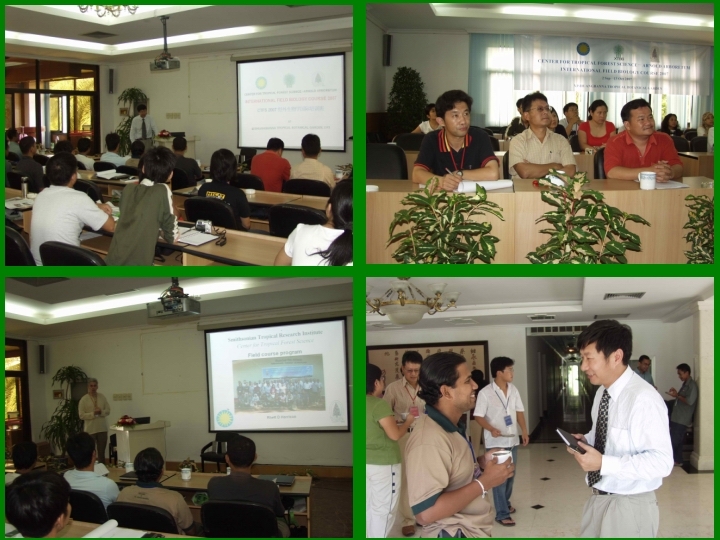 The opening ceremony of the field course was presided over by Prof. Hu Huabin. XTBG director Dr. Chen Jin delivered a welcome address. Dr. Rhetta Harrison from the Smithsonian Tropical Research Institute introduced the aims and activities of the training course. Deputy Director Liu Linyun of Xishuangbanna National Nature Reserve was invited to make a keynote speech. People’s Daily and Xishuangbanna TV covered the opening ceremony. In addition to lectures, the trainees are to have excursions and extended field trips to national nature reserves in Xishuangbanna, Caiyanghe, and Ailaoshan. 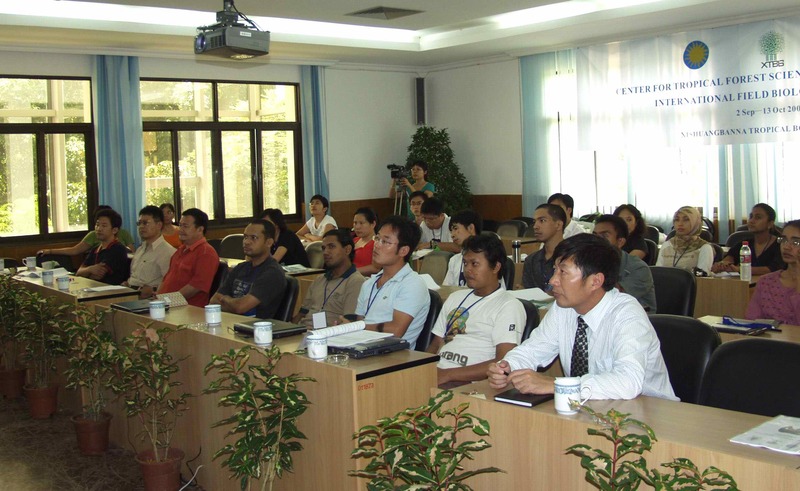 As the first such field course held in China, the CTFS-AA 2007 is aimed to provide high level training in the biology of forest by making use of the unique and rich natural conditions of Xishuangbanna.